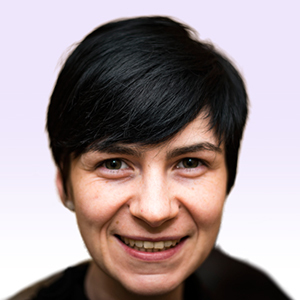 Over the last few years, Lenormand has taken the card reading community by storm. As its popularity continues to grow, more and more Tarot readers are taking up the art of Lenormand. But what is Lenormand, and is reading it anything like Tarot? In a word, no! The only similarities between Tarot and Lenormand are the four cards which hold the same titles as the Tarot’s Tower, Star, Moon and Sun from the Major Arcana. That is where the similarities end, because despite having the same names as Tarot cards, the Lenormand meanings are quite different. Direction is another a factor we don’t consider when reading Lenormand, and Lenormand cards are never, ever read as reversals. 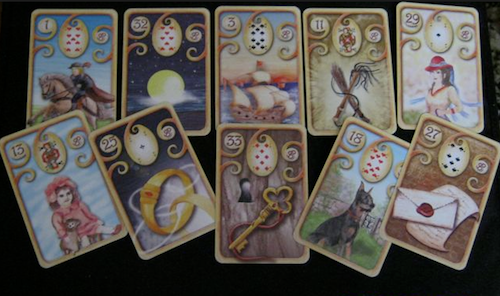 Lenormand is a much smaller deck, comprised of only 36 cards. Tarot is rich in symbolism and complex imagery, whereas Lenormand cards show only one main symbol. There are standard playing cards associated to every Lenormand card too, beginning at the sixes, going all the way up to the Aces and Court Cards. Nowadays, many deck creators choose not to include the playing card inserts as images, opting for just the relevant number and suit symbol instead; many omit any mention of the playing cards, ignoring them altogether. Perhaps they have become outdated, or simply take up valuable space which the artist wishes to reclaim. Unlike Tarot, with which an entire reading can be built around a single card, Lenormand requires cards to be read in pairs or more. Lenormand cards don’t communicate alone, like Tarot, nor do readers assign spread positions to the cards. Instead, Lenormand cards behave like words in a sentence, and as the reading grows the cards communicate and interact with each other to provide detailed answers. Tarot is often used as a deep philosophical tool for self-development and meditation, but Lenormand prefers to tell it like it is! This oracle gives punchy, direct answers to questions, with very little messing! It doesn’t take long to memorise the 36 cards, as many of their symbolic meanings already exist within our psyches – for example, the Clover means luck, a window of opportunity, and the Fox can indicate someone slick, cunning and deceitful, or a small job. Reading these two cards as a combination works like this – the Clover as the first card, acts like a noun, or naming word within a sentence. The Fox then comes along and modifies the Clover, acting a bit like an adjective, or describing work. The Fox modifies the positive vibration of the Clover, so that now we have a situation whereby someone has a small opportunity for success, by being a bit slick. This combination could therefore describe a professional gambler, (remember the Fox can also describe a job), or it could be suggesting that the luck described by the Clover is beginning to dwindle – this is because the Clover is being weakened by a slippery, problematic modifier. When the Clover is modified by the Bouquet instead, its positivity is enhanced, so this combination indicates happiness and success. Reading pairs and three card combinations is a great way to begin with Lenormand. Working up to larger spreads like the Grand Tableau (the Big Picture) will take some time, so it’s wise to become confident reading smaller clusters of cards before moving on to more complex readings. Learning to read Lenormand is super fun, and today, it’s easier than ever. Considering that this deck of cards was originally sold as a game (ok, you’ve got me – that’s two things Lenormand has in common with Tarot! ), these humble cards sure have come a long way. Don’t be deceived by their pretty images and bright colours – these cards definitely mean business! If you’re interested in learning how to read Lenormand, there are some great resources out there for you to explore. It’s easy enough to find lists of traditional card combinations, which I advise you to either print off or write down. Dedicate a journal to your learning, and record all your readings and predictions. You’ll be amazed at how accurate you can be with Lenormand, even if it doesn’t seem like it initially – that’s why it’s crucial to record all your work. Some readings may look confusing at first, but I guarantee that with time and study, you’ll know exactly what your cards are telling you, every time! Decks are readily available and fairly cheap to buy. One of the best decks for learning is Laura Taun’s French Cartomancy deck, available on Amazon and many other outlets; this is the deck which authors tend to feature in their textbooks, too. It was the first deck I bought and is still my deck of choice today, even though my collection has grown quite a bit since then! Other great decks for beginners include the Blue Owl Lenormand, and Pixie’s Astounding Lenormand, for which the creator, Edmund Zebrowski, sampled images from the original RWS Tarot to compile a Lenormand deck. Or, why not get creative and design your own deck? You could get some standard playing cards then draw or write the symbols on them. However you choose to go about learning Lenormand, remember to have fun and enjoy it. Experiment, play, and practise reading smaller combinations before moving on. Record everything, dismiss nothing, and to all the Tarot readers out there I say this – forget everything you know, because you ain’t seen nothing yet!